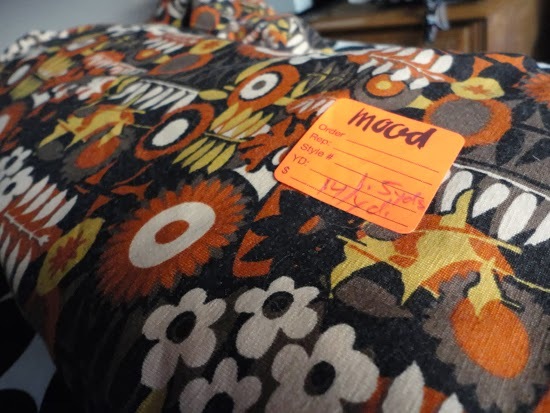 When I went to the Los Angeles Mood store I fell in love with the stickers they put on the fabric I purchased. On each cut they labeled the yardage and I thought, "why don't I do that to my fabrics at home?" At my local office supply store I purchased stickers of my own. I plan on labeling each piece in my stash with the yardage amount and width. You can never be too organized, right? That's an excellent idea! I always keep postits by my machine for noting things...labeling the fabric would be so much easier than the process of remeasuring everything. So will you keep a couple stickers in your handbag so that you can label it before you leave the store? such a good idea. one of the online fabric stores does that too - fabric.com or fabricmart, I forget. It makes it so much easier! I never thought to buy my own stickers though! Great idea! I've been wanting to do this for so long -- I travel and buy fabrics when I travel -- sometimes I remember -- quite a few times I don't! Great idea! I love the little Mood stickers, but it hadn't occurred to me to make my own labels. Love it! One of my goals for 2014 is to organize and label my stash. I have a system of notecards that I use, but I love this very easy system you've got going on. Thanks for sharing! I noticed a while back that all the remnants I purchased had a little cardboard tag with the fabric type, amount and cost stapled on it. So now, whenever I purchase fabric, I like to do the same when I get home. I try to include the $ I paid, as well as the fabric content and if I have prewashed it or how it can be washed. I have my entire fabric stash online for the whole world to see. Eep! That would really help me remember what fabric is called in general... I always think everything NOT cotton is Garbadine... heavens knows what that is anyways?! You could also add information the fabric bolt may have like washing instructions or fabric content! Love this idea! This is very organized of you, great idea! I think one of my 2014 goals will be to get organized!! Earlier this year I made my own wee labels so I could remember where I brought the fabric, what the fabric content is, width and length and price. I recently added a wee tick box so I would know if I had pre-washed or not. I just print cut and pin to my fabric pieces. I love them. Ooh, this is so smart! I used to staple little swatches to fabric info sheets I printed out from Sew Weekly, I think, but it got tricky to store all the sheets and I haven't kept up with it. 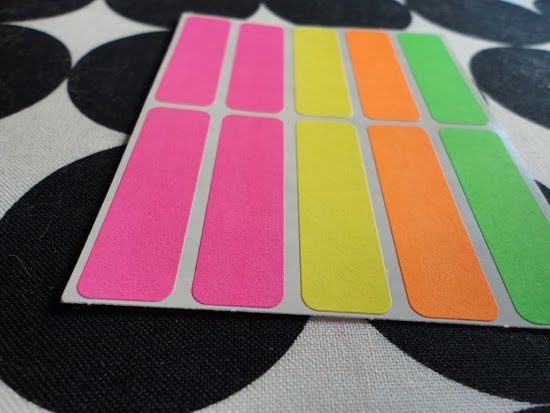 Using stickers is a great idea, although I do find those Mood stickers all over my apartment when they fall off! Definitely a great idea!!!! I should really start doing this. What a good idea! I hardly have any fabric in my stash (am just starting out) but already I don't know what the heck I've got in my little cupboard.